Re: nUF Origins: S1 - Episode 6 - "Meta Incognita"
You could integrate the callsigns to the cast of characters in the first page. Jeez, I do appreciate how we get fundamental multiverse-defining information disclosed in this spin-off series. Real heavy stuff. So revelations aren't just because the Chosen Ones in the Aurora happened on all the verse-significant things. And implies that a whole bunch of Alliance vessels and crews may be uncovering all sorts of crazy stuff elsewhere. Hmmm... your positing of the Earthreign history is interesting. My initial concept had the Earthreign utilize neuromonger psionic controls (with the mongers having to be grotesque slugoids as a requirement!) but with the ruling class not necessarily psionic*... now this idea of esper society ruling and growing corrupt has its own appeal, I like the strange memetic fluidity and variability and subculture formations you described! Of course in SOTS' canon itself not everything has to be divulged of the Earthreign, to keep things mythic (and convenient!). It's strange but nice to see what you're doing with concepts that we in SOTS haven't fully expounded on. *Initially the idea was that the neuromongers were warped mutated proto-espers used by the non-esper regime, people turned into instruments of control by the not-necessarily-psionic rulers who monopolized psionic capability, and one of the reasons for the Earthreign's collapse and the conflicts leading to Reignfall was the proliferation of uncontrolled espers in fringe world populations who could contest the neuromonger psi-monopoly of the reign's leadership, in conjunction with contra-psy tech being developed elsewhere (or introduced by alien forces with an interest of stymieing the Reign). The subcultures are totally unbounded potentials, too. But you'll see more. We'll let you in on early drafts of the prequel. Ooh so is that what the mystery spaceship from Steve's Voltron chapter was. There's a lot I can pontificate about that doesn't necessarily apply to this version of the Earthreign, but I'd say that the biggest mystery about Imra so far is how a survivor from the Earthreign even remembers the Earthreign. For the first item, I'll let the writer field it. For the second... that is a possibility, I believe. There was a mystery spaceship in the Voltron chapter? The ship that Allura's mother was on, that jumped in at the end to shield the Aurora and Castle of Lions (and Koenig) from the Ministry of Fate forces and which opened a jump point back to the Voltronverse for them to flee through. Actually, we do indicate the ownership of the ship in question in the final part of that episode, the bit that showed the Alekto and the other two Furies discussing what happened. She was in another universe, from a certain point of view. You are unlikely to find out the entire story until Season 6 of the main series. Aboard the Huáscar, Va’tor cautiously made her approach to Nah’dur’s office. As the Mental Hygienist and lead Mha’dorn for the ship, she had been Read In, and so, thinking about it, what was happening wasn’t terribly surprising. But it was still disconcerting for all of them. “Does that keep you up at night, Surgeon-Commander?” Va’tor’s voice softened. The girl was not quite twenty, a kit, almost, and she had gotten the impression this subject was rarely far from her mind. Kalista was stirring. Hooded, cuffed, shackled, bound, but on a camp mattress from the marines, in what had been the Captain’s Sea Cabin of the Francesco de Trier. The door opened, and she could hear it. She twisted her head to focus on the individual entering, to see, despite the hood, if she could match them. It was Abebech. <Good girl, brave and loyal.> They were pitted against each other for a brief moment, and then Abebech was inside of her again, systematically. Their minds meeting. But this time, in a jumble of emotions, passions and memories, and Kalista could see, could see, Abebech, glasses and all, in a white uniform of black trim with gold adornment. A massive tactical globe surrounded them, and in it, ships were burning and dying. Ships of the Reich. Ahead of them, a star was expanding, guttering, dimming as it disappeared and re-appeared through a steadily less real pulse of separating fractals of space-time. In their minds, it seemed that reality itself screamed and howled, buffeting the cohesion of their very consciousness, the perception of the universe itself. In the hearts of the telepaths around her, controlling their ship by thought, the sight and the feeling alike were putting terror into the hearts, into those hearts who were linked to the minds of the officers who ruled, in fear and pride, trillions of mutes. Abebech, though, showed none of it. She merely raised her hand and manipulated the plot through psionic feedback, as steady as Constantine IX at the Mesoteichion. A vaguely Hispanic man appeared in a sector of it and with a gesture his image expanded to overlay the tactical globe, the holo capturing the sweat beading from his face. The vision snapped away as soon as it had come. Abebech ripped the mask off of Kalista’s face and stared deep into her eyes. The woman was abruptly confronted with a hideous presence, a power, an afterburn of something immeasurably dark and evil. It crashed over her like a wave, pounded and roared, until Kalista felt like she was drowning in it. Then the wave passed, and only Kalista remained, alone in a tunnel. She followed it, confused, heart pounding, carefully scrambling over broken rock, scoured smooth by the power of the water. She turned a corner, and there she was, in the lab, the ‘Academy’, being modified by the Government of the Union, pitilessly drilled and indoctrinated. Terrified and angry all at once, she continued to advance, looking at herself. But the other-Kalista, the young-Kalista, didn’t notice, the doctors, the guards, didn’t notice. She reached the chair and lunged for herself, to unbuckle herself from the restraints. As she did, the mind’s eye curled in on itself. The younger woman in the chair was suddenly a slight Asian woman of browner skin, wearing the uniform of the Terran Reich. Dark eyes met dark eyes, and there was a sudden sense of ineffable kinship. Kalista woke up again, and this time, screaming. Abebech was systematically removing her restraints. “So this was your ship! ?” Kalista shouted as Abebech turned and began to leave the cabin, remembering her words just before she had been stabbed. “Oh, the de Trier was in the Third of Fifteenth,” Abebech replied with a laugh. Rubbing her wrists, Kalista leapt to her feet and followed her. Mal shook his head wryly. Watching the preparations to fight the de Trier had been almost dizzying, and against a disciplined and organised military force he felt out of place. “War’s back on,” he answered, finally. Jayne shook his head and tried to look away. River arrived, wearing a uniform of white with black trim and gold fittings. Beyond the Waffenrock, it extended to a knee-length white skirt with broad black pinstripes and black boots and stockings. Mal started. Abebech was by her side, Simon following along. “Just in case, I resolved we could not say she was an unlawful combatant,” Abebech smiled thinly. “It’s very pretty that it’s got a skirt, isn’t it?” River laughed, and twirled on one boot to let it flair. Even now she could be purely girlish. “Warning squadron, this is PriFly Actual. Commence launch sequence.” Stasia took a long guzzle from her coffee, and then added, softly, “Yan tután, aagáa yéi kgwatee.” Word of what Elia and Arterus were up to had gotten around. Stasia watched the runabouts accelerating out of the main hangar. One after another, the twelve of them went spaceborne. Around them, the four earliest of the Resistance ships, converted freighters, had already arrived or were arriving. Their targets were the rest. But most of all aboard them were two officers that Stasia deeply respected, and many pilots and other volunteers, going into a mission that most rational people would consider insane. She wasn’t at all pleased about that, but there was nothing to do, but whisper a battle-prayer and wait. The runabouts ducked behind the de Trier and formed up. From a dead start they accelerated to match the relative velocities predicted for their final destinations, and then activated their warp drives, a moment later--none of the ships were far--deactivating them to slid in alongside. A few frantic messages were exchanged by tight-beam as the plan came together. Two went the shortest distance of all, and came in to meet the prizes. After dropping off the volunteers, the last two runabouts went to collect more Resistance fighters. Then they leapt back to their muster point, masked by the de Trier. From that, they would be beamed aboard the prizes the Huáscar had taken. Many might be Union veterans, but they still had only five hours to bring the ships to life. It would have to do. “Then whom is to control her, Abebech?” She slipped into informality, eyes shining with concern. River waved lazily, her focus on her screen. “Kalista is with us, but she can’t be trusted by the Resistance so quickly,” River spoke up. The alarms again filled the ship. This time, every system was functional, the ship had warp drive at Zhen'var's discretion, and they knew exactly what they were getting into. The trap was ready, and it was time to fight. The plan was, in a certain way, simple. The de Trier would slowly bring thrust up, creating an ionised drive tail. The Huáscar would pull away, commencing long-range fires from ranges at which the enemy could not reply. The fighters and bombers had already been launched, and were standing by in the wreckage of the de Trier to ambush the enemy when they closed with her to board. Bea’s squadron was standing by in the drive tail with the fireships. While the Huáscar weakened the enemy, the fighters would harass and drive the enemy squadron toward the de Trier. Then the Resistance ships would lead the fireships into the mass. Staying under thrust, they would cut through and seek to escape. The shuttles hiding on the flanks of the de Trier would get the crews of the fireships off. Including Elia Saumarez, Zhen’var’s best friend. Ahead the fleet loomed, fifty-six ships: Longbow, Trebuchet cruisers, Victoria corvettes, ELINT corvettes, and two utterly massive, ten-million-tonne Crete-class carriers, as large as the Huáscar. With them, Firefox fighter-bombers, Warhammer interceptors, both by the hundreds, and hundreds of cutters and short-range enforcement vessels, armed with their EMP generating charges, and dozens of assault landers waiting to convey Marines to the de Trier. “Some of Fera’xero’s scratch engineering teams are still hydraulically jacking blast doors closed, but we have more time before coming under attack, Huáscar Actual” Abebech responded immediately. “I am preparing to bring up Main Thruster No.7.” The first challenge would be seeing if it actually worked, regardless of whether or not it said it was nominal. The channel cut, and as the Huáscar steadily pulled away, she watched, from what had once been an enormous cluster of thirty-two engine bells, deceptively primitive looking, at the back of the de Trier, the multispectral image showing a flare as the gravimetrics kicked on and stabilised, able to redirect the thrust at will, and then a huge column of bright glowing blue ionised matter shot forth, and stabilised into a low glowing cyan, redirected slightly down and to the starboard to balance the thrust relative to the ship’s centre of gravity. “Aye-aye, Captain.” Daria took one last glance at the cylindrical thrustship of a monster slowly increasing her acceleration toward eight gravities, and began targeting with long-range sensors of the incoming fleet. “Going for the carriers first…” Daria selected one of the massive Crete class ships. They weren’t in range yet, but she could start refining her targeting picture… The Huáscar turning to port and speed continuing to increase as their acceleration peaked past two hundred gravities. Having arrived in the local system, the pulse drives of the Union ships wouldn’t help them again, and without those long distance but limited mass-cancelling drives, their accelerations were poor enough that there was no way they could keep up. Hells, the converted freighters in the Resistance force could barely keep themselves in the de Trier’s drive tail as she limped her way up to eight gravities. “They may not have enough information to realise that we’re going to be ranging on them and think we’re retreating,” Will remarked through the intercom as he watched the enemy fleet continue to fail to manoeuvre or otherwise respond to their actions. “Fire free,” she repeated, the Dorei woman studying sharply the tactical displays as they counted down the remaining range. The counter ticked over and the indicators went green. Daria grabbed the trigger and fired a massive rippling broadside of forty solar torpedoes as the main PPCs opened fire on the starboard beam. They lanced across the stars to a target that would be perfectly invisible to the naked eye, now under the guidance of FTL sensors again with the jamming field completely gone. The pinpoints of lights the flashes represented meant something else entirely on the tactical display, and to the approaching Union Government Fleet. It was a credit to their alert and capable sensor operators that they turned their autocannon on the incoming torpedoes. Even at high c-fractional velocities, they had just enough warning to turn the anti-missile defences on them. Against the heavy PPCs there was no protection at all. The armour of the carrier was thick, but the immense power of the energy weapons scoured its length like the hand of a god. The carrier staggered, and turned away. As it did, three torpedoes slipped through the defence--which was superb, to take out thirty-seven--and exploded down her side in flashes of fury greater than even an atomic bomb blast of the heaviest type carried by their missiles. The ship lurched and went hard to port, a brave Trebuchet frantically interposing itself. “One of the carriers has hauled out of formation, Captain,” Orallian called out. The fleet reacted immediately. They started to launch their assault landers early, especially those on the second Crete. The first carrier, in fact, began to launch from her port bays despite the immense internal damage she had suffered. This fight wasn’t going to be so easy. Blossoming across the tactical displays, the Union fleet began to launch their maximal-range missiles in a salvo whose numbers steadily ticked toward a thousand. They were not completely helpless, and they weren’t about to let the distant enemy wound them without reply. But at this range the Huáscar had plenty of options to attrite the salvo. “They’re launching, Captain. Full strength missile wave to overwhelm us, based on current course with a reasonable prediction cone,” the stocky Gersallian man quickly confirmed, highlighting the tactical display on the screen in sections and expanding them to provide the Captain the information she needed. “Warp five at your discretion, helm,” Anna confirmed even as Violeta waited for Zhen’var’s decision. Violeta watched the timer zero out and activated the warp drives. For a moment they were in a blur of motion, and then they lunged out of position. It was worse than that for the Government fleet, which due to its sublight sensors didn’t realise they had altered positions initially, and then saw two of them. Daria opened fire, targeting the second carrier she had already been hammering. The full forward batteries ripped into it and tore through it. A massive string of secondary detonations tore through the engine block and darkened it, the thrusters guttering out in the night as additional detonations rippled down the flanks of the immense ship. Now it was ironically the first carrier that had initially hauled out that was still limping toward contact with the de Trier. “The missiles haven’t been redirected. They want the de Trier intact, Captain,” Orallian reported. “Coming about to starboard to keep us within the engagement plan,” Violeta noted. Daria acknowledged and adjusted the firing pattern to account for it. The Huáscar slowly turned back in on herself, to keep the enemy from being tempted to follow her to the far side of the de Trier. The enemy squadron was now matching velocity and approaching the ship’s great flanks, even as the long-range PPC fire picked off the first cruiser to be claimed in the action, the Government fleet powerless to reply. This was battle, in all of its grim majesty. For the moment they reaped like Gods, but a minute later their friends and comrades would be in desperate straits. The engines strained up to full power, and the Huáscar’s port batteries thrummed in her deck. “The White”, as her distant ancestress had been called in the War of the Pacific, turned back to close the range. It was all mathematical now, the fire they could put out met by the Government ships’ ability to absorb it, and the Captain’s face was a blank mask as their fire lanced out. El’sau, please, come through this alive, I ask no more than that of the universe. Artesia watched the approaching fleet match velocity and acceleration with the de Trier from her position at standby with her squadron, nestled by the docking tractors close up against the hull of the great ship, in amongst the ribs and shattered plates. It was intimidating simply to see the metres and metres of melted and shattered armour plates. Sometimes, now under thrust, some part that was loose and had not been dislodged in thousands of years of drifting brushed past them and tumbled out into a debris trail behind them, a haunting simulcra of how she must have looked first arriving in the system. IR seekers on her missiles cheerfully began to chime as they locked onto a brace of Short Range Enforcement Vessels, and her micro-torpedo tube began to track a group of assault transports coming in. Still they waited. The Government fleet was de-accelerating above them, finally meeting zero-zero relative the de Trier. She could see them, now holding position. There were still more than fifty ships, but even as they assumed their positions, turning into a half-globe formation to defend against the Huáscar facing out like a defensive hedgehog, another of the Longbow type cruisers was bracketed by heavy PPC salvoes. Pummeled over the course of a minute with the beams lancing in from the distant Huáscar, a pinpoint of starlight at long range, the cruiser began to come to pieces, fuel stores exploding around the engines in a furious white fusion detonation that blasted the after hull from the central pylon, sparking as plating went flying in a dozen directions. If their troops retook the de Trier, it would be worth it for them. Mission Complete, regardless of the casualties. Artesia deactivated her docking tractor, manoeuvring thrusters spitting fire as she brought her nose up. “Epsilon wing, form on me! Full ahead!” She rammed the throttles back, and at hundreds of gravities, the Mongoose climbed like a rocket on takeoff from the hull of the de Trier. The computer whined with the familiar indicator of tone lock, and she salvoed her anti-fighter missiles on fire-and-forget, then came around and shifted through armament. After she confirmed it was the micro-torpedoes for the transports, she opened fire as her fighter tore through them, pivoting the nose down and briefly cutting thrust to chew through yet another with her main pulse cannon before bucking the nose back around. A line of three enforcers were burning and exploding, and more were flaring up around them, the energies of the Alliance missiles far greater than anything they had been designed to face; it was one shot, one kill. A squadron of Warhammers descended on her, and she coiled around another group of incoming transports. “Epsies, stay on the transports! I’ll keep the fighters off of you!” She flicked the switch to outboard and made her second kill with guns, and the first fighter, as she skidded across their course after ducking through their own transports. There were just the two of them on the bridge for command crew. Abebech didn’t trust Kalista with the codes yet. She’d have to prove herself first. But Goodenough, Ca’elia, and Abdulmajid were there. They couldn’t interface with the computers, but with River and Abebech setting up data-feeds for them, they could monitor the reams of information the computers were now providing and alert them to anything coming up, so they could focus on fighting. With the sole operational main engine locked down to provide a constant eight gravities, massive banks of red and amber lights glowed around the bridge, indicating failed and critical systems. “Six hots and eight crits in the main weapons feed buses,” Goodenough indicated. “Both nominal, Captain,” Goodenough replied. The technical terms were familiar enough that the crash course in New Franconian and some help from the omnitool were mostly enough. <Frigate-Captain, port turbolasers, engage!> “We are engaging,” she repeated for the benefit of her mute officers. Four turbolaser batteries erupted fire down the de Trier’s port flank, with red bolts two hundred metres long flashing through the void. Each battery was a cluster of five cannon in an armoured housing, able to train and engage semi-independently but linked to a single power supply. After they fired, the heavy batteries took six seconds to recharge. The battle had been shaped according to the plan that they were given with Zhen’var, because the port side was more intact than the starboard, and now Abebech had five of seven and two of four neutron cannon at her disposal to engage with. The turbolasers spake first, and when they did, a Trebuchet-class cruiser simply exploded. At point-blank range, the searing power of the main batteries reached the main reactors and fused the fuel on the ship, detonating her in an enormous fusion reaction which reduced the hull to embers and a brilliant white flare across the night. Now Abebech p’grabbed the Neutron Cannon controls through the interface and opened fire with them as well. The two green beams lanced through the night, targeting a Longbow each. They had plenty of power on a single charge to scour down the length of the hull of the ships. In the darkness of space around them, she could feel through her powers, the chill of horror and terror spreading through the enemy fleet. If that fire kept up, they were dead by rights. The beast within relished it. Fear us! Fear us! As it was in ancient days! Elia had led her cruiser out of the drive tail the moment that Abebech had conveyed she was opening fire. Ahead of her, Bea’s Resistance people thrusted hard with their squadron, straight toward the fleet that heavily outnumbered them. On the screen, past the rack which had once held skulls, she could see that the de Trier really was in action. Longbow-class ships were burning ruins along her flank, neutron beams having done the job, as horrifyingly perfect as they had been against Earth in the late war. One of them was cut in two, just as cleanly as if the Minbari had done it at the Line. But now it was her enemies and the oppressors of telepaths who did it. A savage thrill cut the anxiety in her heart, strapped in as the cruiser and its skeleton crew burned hard on a final mission. “Steady as she goes.” Ahead of them the eight Resistance ships--two Trebuchet-class cruisers and a Victoria-class corvette captured from the Government, plus five armed freighters--blasted into the heart of the enemy formation, salvoing their missiles. The two ships she was leading, one Longbow planetary assault model sold out to civilian service and captured by Reavers and one armed freighter, looked merely like the rearguard. Behind her were sixty-eight solar torpedoes. “At discretion,” Elia answered. It was only a small level of safety. “At discretion.” She leaned into her restraints and watched a wave of plasma pulse and autocannon fire converge on the squadron lead. The nature of the weapons and sensors used by the Union dictated that the engagement ranges were much closer than Zhen’var ever tried for with the Huáscar in normal drill. It was the one thing which made the plan viable. “The Lord Shall Prosper Us This Day,” Elia whispered as she watched one of the Trebuchet-class cruisers the Resistance fighters were crewing be chewed up from stem to stern by heavy fire of a concentration of the Government ships. Falling out of formation, her systems were killed by EMP bombs. “Helm, steer for that concentration of ships.” She patted the armrest of her acceleration couch and reached up, poised for a moment as she watched the final fate of the cruiser, torn apart by fire from a dozen ships until she erupted in a final intense gout of flame. “Thirty seconds on your mark, Commander,” Ni’vur answered. “Shuttle force, now would be a good time,” Elia continued, pitching her voice to be chipper despite the lack of response. The Government ships opened fire. “Helm…” Elia trailed off, remembering she had already ordered it locked down. The timer wouldn’t matter a whit if the torpedoes were energy fused by a good salvo punching through the old, deranged armour of the damaged Reaver ship. Then a blazing flurry of green lances seared at the edge of her retina, exploding outward from the side of the de Trier. The energy bolts connected with their targets, two of the enemy cruisers burning, smashed open…. Rent from stem to stern. Abebech had grown confident enough to split her fire with two batteries laid on each ship. Venting debris, burning atmosphere and seared bodies, the two cruisers tumbled away, hopelessly crippled. Another enemy squadron converged, guns tracking. Good, come on, get closer, if I’m going to die ten of you isn’t enough you sorry bastards. “Shuttle force..?” She asked again. “Might be a bit la--.” Mercifully, the word was cut off by the feel of the Darglan type transporters yanking her away from the hulk. She found herself flashing back into existence on the transporter pad of one of the cargo shuttles holding itself against the hull of the de Trier. Her crew would be spread around several others because of their small size, but Ni’vur was with her. “I’m not sure the sensors of a shuttle masked in a dreadnought can tell us, but we certainly did ride it down their throats,” Elia answered, stepping over to the replicator in the back of the shuttle. “Thanks for the save!” She called to the pilot, before replicating herself a cuppa. “...Fancy any ytar, Leftenant? I shouldn’t want to leave you out.” She was quite worried about Arterus, actually, but as long as there were subordinates around felt nothing else would do. “...See, I told you, Ni’vur, it all worked out perfectly fine…” She stepped back up onto the transporter pad and handed him his ytar just before they both again disappeared in a flash of white. <Of course, silly, that’s more important than going for the big ones.> River flashed her a brief grin before turning back to her readouts. “Captain, power surge on the …” Goodenough’s words were cut off by the tremendous detonation. The lead fire-ship detonated, and moments later, the second. Immense white flashes as terrible, but worse still, than those inflicted by the batteries of the Francesco de Trier tore into the heart of the fleet, obscuring for a moment the flaring energy and anger of a neutron beam tracking across the battlefield. The beam found purchase nonetheless, and another corvette reeled, tumbling off course with a huge gash of flickering, melted metal across its flank. It paled as nothing before the terrific damage of the conflagration. The spreading explosions had easily wrecked or damaged a dozen Government ships outright, vapourised some. In the guttering sparks of cooling metal debris across the battlefield, there were also the tumbling wrecks of vessels further out, driven and dashed against each other as pieces of flotsam battered in the surf. Abebech folded her gloved hands. The thought was too intense to hide, the sentiment River could clear p’hear, hoping that Elia had survived. As the ships tumbled, spewing atmosphere and debris and bodies, twenty wrecks in the void, the shattered heart of a great fleet, it was all they could do. Artesia snapped another nose pivot back toward an incoming squadron of Warhammers. Tone lock squealing in her helmet, she raked across one, then another, taking both en passant as the groups tore across each other’s courses. The battle was not going well, simply because of how badly outnumbered they were by the enemy fighters. Even as she killed another two, they had started the engagement with odds long against them. One hundred fighters and bombers and twelve runabouts were going up against more than eight hundred fighters and an equal number of enforcers and cutters. All the technology in the Multiverse hardly mattered at sixteen to one! She snapped into another violent nose-pivot, but this time laid on maximum thrust to avoid a brace of enforcers coming in close. Once clear of the risk of a collision, she brought the nose up again and fired across the belly of one, the pulse phasers ripping weapons mounts apart and dishing in the thin hull. Air fled in a trail, turning to ice as it did. “All squadrons, pull back! Pull back!” Lar’shan’s voice echoed across the main channels. Artesia and the other pilots knew what it meant, and she snapped her nose away from the globe of capital ships and again slammed the throttles to full. A moment later, she flicked shields double-rear as her periphreal vision exploded with white. The Mongoose violently bucked in her hands as Warhammers behind and around her and several enforcers and cutters were also torn to pieces, captured in the wave and buffeted until they shattered and their fuel was detonated by the energy of the blast. Artesia thumbed through channels to try and raise her squadron lead, but couldn’t get any response. “Epsilon flight, follow me forward,” she ordered, and there were only three of them now, not four. She cut down toward the surface of the de Trier, dodging around the massive turbolaser batteries lest they fire, and selected one of the bays. Most of the assault landers that hadn’t been destroyed before had already landed. She made sure the laggards paid for it. Her pulse phasers spoke again, and again, and claimed two more of the transports on her run to the concentration point, the work becoming as sharp and precise, and unfussy, as an old woman strangling a chicken in the rural Catalan of her girlhood. Behind her, the explosions faded like the dying of a star. On the de Trier’s bridge, the tactical picture updated again. Now it showed the cripples continuing to fall behind as they lost power, the rest of the Government fleet still in wanton disorder. Three-fourths of their strength was gone, annihilated, between the Huáscar, the torpedoes, and the fireships. These were the kinds of casualties which destroyed any military unit, no matter how strong or brave. Once, this ship had fought in a battle just as hopeless as the one she now inflicted. Again River targeted and fired the turbolasers, blowing a Longbow in two with a violent shattering of hull, gouts of plasma driving the two halves of the ship away from each other. But the enemy did not surrender. Abebech knew why. They were counting on the troops they had landed to take the de Trier. They would remain focused on their mission until the very bloody end. The promise of victory could yet make troops endure a terrific pounding. She knew it. She had led troops in doing the same before. And as long as she and River were tied to the command consoles of the de Trier, the threat was real. They could not fight the ship and confront the boarders at the same time. <Other Operatives. Other sisters,> River paled, where first her face had brightened in relief that Elia had survived. On the Huáscar’s bridge, Daria could sense the relief in Zhen’var’s heart. She also realised that the challenge was her’s. Elia was alive, but her responsibilities in battle had usually included management of the tactical picture for Zhen’var. Daria had been more of a gunnery officer than a true tactical officer. “Go on, Leftenant,” Zhen’var said simply. “They’ll attack us with EMP charges if you do, Leftenant.” Zhen’var’s claws scoured at the granite. Violeta tapped a single control to execute the warp manoeuvre she had laid in, at a leisurely Warp 2. It was still sufficient to put them right on top of the battlefield. They appeared, and Daria’s quick blue hands worked the firing controls, ears flexing. A moment later the medium and light batteries opened fire in earnest. They ripped through the ranks of cutters and gunboats. Against the medium batteries, none of the cutters and enforcers were strong enough to survive even a single hit, and the light batteries were intended as anti-missile units and could track them through any evasive manoeuvre as it chewed them up piece by piece. Twenty of the craft, too large to be good fighters and too small to be as resilient as capital ships, were destroyed in the first five seconds. They had the numbers on their side, and they had the weapon which had proved most effective against the Huáscar so far, EMP charges. But as they accelerated into attack positions, the great cruiser was moving faster. They knew their plan, they knew themselves, and they knew their enemy. The Huáscar roared past them at maximum acceleration, easily pushing past them before they could catch up to close the range and use the EMP charges. As she did her medium and light PPCs spat fire again and again and again. Behind the mass of the cutters and enforcers, the de Trier was firing too, two Neutron cannon beams sweeping the battlefield, catching the small craft and destroying them in puffs of fire and air, sparks of molten metal drifting into space and cooling as tumbling pieces remained. Lar’shan formed his fighters up to follow the Huáscar, staying on the outside and covering her. It was like a bullfight; as the Huáscar cleared the enemy, she de-accelerated and then spun about to accelerate again in the opposite direction. This time, her starboard batteries spoke, the fighters shifted to the opposite side and didn’t even engage. The commander of the Government forces, the Captain of the surviving Crete which had pulled well back from the action, could just watch in despair as his small craft were systematically annihilated without the ability to engage the enemy. The Huáscar twisted like a fighter at the end of her runs, spinning back and standing on her beam ends through the sharp turn, just for Violeta to bring her impulsors to full power again, and again. Maximum thrust to the redline in acceleration for three minutes, de-acceleration for three minutes, and she kept varying the angle so that the enemy couldn’t predict their course and put themselves in a position for ambush. It was a massacre, and to combat the demoralisation of the Government crews standing in place to buy time for their Marine comrades, they had only the thin hope that they would succeed, and take the de Trier. Aboard the de Trier, armour was waiting for Elia. She pulled herself into it before she realised it was not at all of Alliance make, and then shrugged. Strength in metal doesn’t so easily yield over time. Not this ship, anyway. Kalista arrived, already dressed in it, with the appropriate uniform under it. <Yes. This is certainly our last chance to stop a great effusion of blood among telepaths. I’ve already worked with Fei’nur; she’s concentrated the Mha’dorn and we’ll be going to join up with them,> Elia replied. <Come on.> She gestured, clutching her pistol, and started forward. The Marine detachment had eight Mha’dorn in it, and there was also Ensign Kel’dar who had been part of the group securing the engineering systems. Some of them were quite weak, but even the weakest telepaths could, when gestalted, use their talents against another, a reserve bank in a fight if nothing more. Lieutenant Koi’sar was the ranking Mha’dorn besides Elia herself, and he came to attention to salute as they arrived at the concentration point. Lieutenant Gha’tir was right next to him; the others were rankers. <All right, where’s the attack developing?> Elia asked, letting it be clearly conveyed to all at once. Elia pursed her lips. <Four people? Let’s roll!> She doubted they’d last a minute against what was coming down the pike for them. Mal, Jayne, Zoe, and Inara, armed with a rifle taking from one of the arms lockers on the de Trier, a wickedly functional energy weapon. Mal had never expected to see his girlfriend packing a gun prepared to shoot purple-bellies, but there they all were. Zoe, still shaky and looking a little sick, was settled in against a crew-served weapon, from the same armoury, with the other three covering her. There was a line of collapsed doors and metal access panels piled up to form a barricade. Mal waited patiently. Isolated from the comms network they just had their own little battle to fight, not knowing the details of the general engagement. But they knew that beyond them was Simon, a field hospital, Kaylee, Emma Washburne -- and River and Abebech and the command and control apparatus of the de Trier. There was a rustle down the corridor. Jayne leaned forward, but Mal quickly held up a finger, and he shushed down before he spoke. It was already growing louder; there was no need for a recon, there were troops coming down the pike. They were not friends. Despite her condition, it was Zoe’s gun that spoke first, and the better for it. Red lances of light shafted their way down the corridor leaving a blur across their vision. They virtually tore the bodies of the purple-bellies rounding the corner to pieces. A group of four were dropped in barely more than a second, to the screams of others behind. “The hell is that thing?” Jayne stared incredulously for a moment. “Effective,” Zoe answered with a laconic bit of a smirk. “They’re comin’ on again!” Jayne shouted, and let loose with Vera. A man toppled in a well of blood, and then another. Inara’s gun spoke sharp red energy bolts, smaller versions of those from the tripod mounted gun. Mal joined in with his pistol. Between burns gouged through armour and good hits that left bloody traces across wounded and dead soldiers felled to the deck, they had quickly stopped another push. But from the rustlings down the side corridors, it was clear that they were going to be flanked. Jayne rolled out to the right, and the moment he did, there was a sharp crack of fire. He went to ground, bringing Vera up to return fire. Inara and Mal managed to reach a set of doors the enemy hadn’t. They settled in to wait against them, and Mal took aim as the first of the purple-bellies began their flanking manoeuvre. He was surprised with the precision and surety by which Inara dropped the first with a single shot from the energy rifle. The second went down to his pistol. It seemed like another probe that would melt away, when suddenly, eight of them rushed all at once. They both opened fire into the densely packed mass, felling them as they tried to press forward. But behind them came a girl with a shaven head. Mal grimaced, and raised his pistol to take the shot. Just as he did, she exploded into a pirouetting run straight toward their position, ducking aside both bullets and blaster-shots. A blade glinted in her hand, earnest and ready to deal with him and Inara using cold steel. Again and again they fired, and never quite hit her. <FALL BACK,> the command echoed in his brain like a hammer. Elia advanced from behind them with her pistol levelled, and pitted herself against the girl, buried deep in her precog. She was not alone, but represented just one arm of the gestalt. In the mental world she projected, she matched the single sword of the girl with a dozen about the banner. Three lions attacked and tore at her mental shields, while a wave of blood swept over them from above, mimicking the colour and heraldry of the flag of her islands, the Duchy of Normandy. She picked wedges into the shields with the coordinated efforts of eleven minds. The girl’s shields cracked open. Her wail of desperation, mental, was strong enough that despite the lack of a direct line of sight, her sisters came running. Kalista and the Mha’dorn followed from their side, leaving Mal and Inara to follow that ineluctable compulsion back to reinforce Zoe against the regulars. Exactly the way that Elia wanted it. She held her ground, and twirled a thought deep into the girl’s mind. <Iris. Kalista is here.> She led her consciousness up and around, surrounded by a wall of the others. Their ‘attack’ was a full disclosure, nothing less, and nothing more. A vision, of this ship, of ancestors they had not known, and of friends they did not know they had. A vision, of the burning horror of a future where they were known only as enforcers. Where they were hated behind their backs, and feared to their faces. A future as sure as following their current course could be. When the mass of Operatives ready for battle came around the corner, in aggregate they were stronger than the eleven they faced, all of them except Elia, who as a P9/10 outmatched them, and Kalista, their equal, were outmatched by the Operatives. The Dilgar around her were not strong. Kei’dar was a P6 as the strongest. But they were united. They were gestalted. It was the telepathic equivalent of a testudo, pitted against a mass of wild and disorderly warriors. Yet, for all of that, they might have forced it to be an unpleasant ending. The one unitary objective of the telepaths was to end the situation without bloodshed. In the end, their opponents, able to see what the Government had done to them, able to see their own past, now simply had the ability to make a choice, fully informed, of their own free will. The Standing seemed to stretch into infinity. As it did, Mal found himself covering Jayne as he slowly fell back, and Inara covered Zoe. The purple-bellies kept trying to push for their objective. Right up, anyway, until River arrived, and sent a dozen purple-bellies spasming to the ground at once. The firing abruptly slackened, even as they could hear it in many other areas ahead, as Colonel Fei’nur’s Marines executed counterattacks. “Though you were supposed to be flyin’ the ship,” Mal remarked as he looked, even now more than a little shocked. It was with an almost uncomprehending nod that Mal watched them go toward the left. And it was River, not Abebech, that joined the gestalt. River, who greeted her sisters as a sister. River, who reached out and showed them how to not be alone, and form their own gestalt. All fifteen of them. The brooding, dark presence at the end of the corridor was hauntingly familiar in some ways, even more than Elia and her Mha’dorn compatriots. The Consensus of the gestalt was clear. The Francesco de Trier was theirs. Freedom was theirs, as it had been for their foremothers so long ago. There was no fighting. Quietly, as a group, they simply filed back toward the command spaces, unmolested by Abebech’s troops, and with Abebech silently watching, at Elia’s side. That is, until River passed her. Very deliberately, River stopped, and turned to face her in her Terran Reich uniform, and came to attention and saluted. Abebech returned the salute as a matter of course, like her entire being was trained to do it. “Surviving crew of the Francesco de Trier fully present and accounted for, Admiral,” River said, a mischievous wink in her eyes. Then she spun on heel and followed her sisters, almost traipsing with delight at Abebech’s response, confirming what she had thought. “...She’s still a bit strange, isn’t she?” Elia asked, shaking her head wryly and laughing. Abebech Imra entered Zhen’var’s Ready Room the next morning, fresh from the de Trier. Around them, there were now concentrated eleven Resistance ships that had survived the battle or arrived after it, plus four new prizes that had surrendered. Seven enemy vessels had escaped; forty-five had been destroyed. More than two hundred Cutters and Enforcement vessels had surrendered, as well as a hundred fighters, when it was clear that nobody was going to succor them before they ran out of fuel. Most of them had been moved with tractors into the hangers of the de Trier for want of anywhere else to put them; the logistics of dealing with the surrendered craft were almost overwhelming. “That is correct, Captain. May I sit?” Abebech’s face was politely neutral, eyes behind a different but no less opaque pair of sunglasses. “Please, you are welcome to. Free use of the replicator as well, Commander. You may speak freely.” Her eyes studied Abebech carefully; something had happened over on that ship, and she was unsure just what it had been. “I am not. 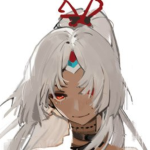 I have further orders you are unaware of, Abebech.” Apology shone in her eyes, which she tried to mentally project as well. “I believe I understand.” Abebech could, in fact, directly see the astrostrategic rationale for the deployment. It would give the Alliance a secure base within striking range of Cylon space. “By your leave, then, Captain?” She finished her coffee. “I am on the way.” She rose from her desk, already starting to plan ahead. When she arrived, the intensive care ward was completely filled with people. At this stage, twelve hours after the battle had ended, those that were still in intensive care were primarily those that Nah’dur had managed to revive. The crew had still suffered a total of forty-one fatalities over the course of the entire operation so far. It would have been eighty without Nah’dur. The Dilgar Surgeon-Commander was checking over a bed in the isolation ward, which indicated it was safe to enter--she was just using it for privacy. Va’tor was at her side. In the bed was a woman of lean, corded muscle, Asian in ancestry, with pink skin everywhere from freshly healed scarification. She had no hair, it having been removed for the surgery, and Nah’dur was yet to put false skin over several cybernetic segments added to the skull. She was not restrained. “Neih hou.” came the polite greeting. It was not the same dialect, but it was, at least, mostly comprehensible. “I am. A pleasure to meet you, Fei Mian.” It has been a radical effort, but a worthwhile one. An opposition. That is useful information indeed. “Our old Imperium would have thought the same. Thank you, that is critically important information I was not aware of.” It is much more difficult to overthrow a regime when you actually care about the aftermath. “Most of those we fight are not those we aim to fight - they serve an unjust government with good personal intentions. The de Trier’s backup hyperdrive, a ‘Class 20’, was operational four hours later. The crew of the Heermann watched as the screens abruptly flashed into a static projection of the system, parabolics outlined with script indicating positions and coordinate lock-in. <Make the jump to lightspeed,> Abebech commanded, and River executed the command. It was one of the few systems on the de Trier counted important enough to still require the input of a physical lever from River’s position. The de Trier fired her stabilising thrusters for the last time and then suddenly accelerated much, much faster than a ship should accelerate. Ships in her home universe using modern hyperdrives didn’t do this; they also still relied on navigational beacons, though the bands of hyperspace they operated in meant they could fix on beacons that were in realspace. The de Trier needed neither. She flung herself forward in a flicker of pseudomotion and then vanished in a flair of white light. “What the …” Even Elia was surprised. Violeta was too, but she remembered they had a lot of comrades aboard the de Trier and brought the Huáscar to high warp as planned to catch up and overtake her slow backup. The journey was a matter of minutes. The Huáscar dropped out of warp at Quarters over Londinium. The planet was guarded by fourteen heavy orbital combat satellites. The plan that Zhen’var had already briefed her officers on was to engage them and destroy a hemisphere’s worth of defences and then dictate terms to the Government. She didn’t launch fighters, they had taken too many casualties already and would be utterly overwhelmed. Either they knock out the heavies and force the government to talk with a display of shock and awe, or they would have to retreat. With a flicker of pseudomotion the three kilometre long dreadnought, looking like a ghostly ruin, exploded out of hyperspace and de-accelerated into low orbit of Londinium, standing off their starboard quarter. According to the plan, Daria had already fired a full salvo of forty Solar torpedoes summed from all the launchers. Now she followed it up with the Mk.1 and Mk.2 PPCs, all targeting a single one of the combat satellites. The massive station was rippled with explosions and fires from top to bottom, massive gashes torn in the main hull and huge chunks blasted away by each successive torpedo explosion. They had been on alert, but they never had the time to bring up their defensive anti-missile batteries in the same way the ships entering battle with plenty of warning had. Then the de Trier opened fire. Her port batteries targeted one station further afield around the equator to the one that the Huáscar had just eviscerated. Neutron beams tracking across its surface, severing weapons and docking platforms with surgical precision, the turbolasers gutted the hull of the station with a tremendous gout of fire. The raw energy was enough to fuse the station’s reactor fuel, and a moment later the fusion detonation completely consumed the combat satellite, filling the sky over Londinium with a brilliant flare of raw white, the blazing fury of a newborn and short-lived sun. Her intact starboard batteries were weaker, but the precision fire of the heavy turbolasers deep into the satellite hull destroyed reactor power to the weapons of a third station within the same heartbeat while the neutron beams swept along the docking bays, destroying the fighters, Cutters and Enforcers before they could launch. “Three stations down, Captain,” Elia confirmed as Londinium shone before them. “Transmit Fei Mian’s recording, Operations. Stand by to give me a channel.” The message of a very personal account of Pax and the Miranda project was already going out. Now that the Huáscar had the full codecs for CORTEX and the security codes from dozens of Government ships, with the time to process them, her enormous computational and broadcast power literally took the entire system over. She washed out the entire system with the power of the broadcast. All firing stopped as the broadcast began, but it hadn’t been soon enough for two capital ships to be unable to finish two more stations, and gut a Crete that had been coming around to launch her fighters. Now, the weapons faded away and the communications warfare began, starting with the recording. The command was electrifying, and emphatic. Five stations and a carrier blazed, or were destroyed outright, in orbit, visible to billions of citizens on the surface of Londinium. The crew listened as it sank in to them that yes, they were simply commanding a government to dissolve itself. At gunpoint. “Feeding to you, Leftenant,” Elia confirmed to Tor’jar. “Put them through, Lieutenant.” Squaring herself up, Zhen’var raised her chin and brushed her black hair back, eyes level and burning with determination. “I am not asking. I am ordering. You have eleven minutes.” Her voice had no give, her face, no flicker of emotion. He spluttered. The channel went dark. “Broadcasting,” again Tor’jar forced the video onto the whole of CORTEX. “Go ahead. Record for rebroadcast if needs be.” She had the same calmly inscrutable expression on her face as the screen blinked back to life. “We will stand down.” The message again blinked off. “You seem to think that is not going to end up in an Alliance news feed that ISN will re-broadcast, Commander.” She leaned back, feeling a tenseness she’d held for days finally start to relax. I will hope for a high death-toll, El’sau. Nobody else on the bridge could really figure out why their Ops officer was laughing so hard. Deep inside an ornate, Chinese-style castle on Sihnon, two Union political operatives looked at each other nervously. Neither one wanted this mission. They were both terrified of the wrath of the woman they knew as Lady Seng. It was only when another figure arrived, sandals pattering down the corridors of the castle in the dim light, cloak billowing, that they decided better it be them than the figure who was approaching. Together, as one, they opened the doors and pushed their way in, both bowing deeply toward the seat on which the frail woman with sharply done up, lividly black hair sat. There was silence as Mariza, the third figure, approached from behind. Bea, Mal, Simon, River, Abebech, Fei’nur, Elia and Zhen’var were sitting around a table in a conference room on the Huáscar, with the remains of a spread served up from the officer’s mess around them. “You rescued all of us, that’s the important part,” River replied. She was in a flowing sundress, not the Terran Reich military uniform, but sitting with Simon at her side, she looked more mature than she had been seen before, even so. “He really doesn’t like the idea of running for Parliament,” River said in a conspiratorial whisper to Zhen’var. “He’s just trying to embarrass me,” River said a bit sheepishly. Four days later, the Huáscar stood off from the Francesco de Trier, and turned outbound. With Will on the bridge, Nah’dur took advantage of the relative peace and quiet to tug Fei’nur and Zhen’var down to Café Varna for a meal. The Captain always looked a bit uncomfortable in social settings with the crew, and she often regretted letting herself be dragged along - it had been hard enough to get her down here for her birthday. This moment was no exception, because she had caught a fair number of her officers in the middle of something. They were clustered around one of the large wood plank tables off in the corner, well, except for Elia and Goodenough, who were standing on top of it with tankards, leading the song. Anna was playing the accordion in the corner, and Abebech was strumming her guitar with a look of bemusement on her face, and Ca’elia was belting it out in true style along with the rest of them, as Abdulmajid tried to keep along and Abel did a much better job. Violeta had an impish grin, and Arterus was laughing and grinning at the table until he saw the Captain, and stiffened right up. Elia finally saw the three of them and her dark eyes widened. “I… carry on. My apologies for interrupting.” Zhen’var waved awkwardly, and hurriedly turned to depart. Before she could, Elia looked a grin to Jonathan Goodenough and then struck up another song. Oh Divine, you think singing about me is going to get me to do anything other than leave faster?! “But, Captain! You have to understand, it means your officers, they love you, Zhen’var!” Fei’nur exclaimed. “Elia, at least, but you two, go. Enjoy, there is clearly a celebration, and you deserve to be part of it. As she walked away, she was softly singing under her breath. “I have watched my shipmates come and go, and worked while others died, there are no words to tell you what I feel inside.” Not all of them, after all, were going home. It was the Pilot’s mess which had no-one present at the little gathering. Almost half the fatalities had been theirs. And Zhen’var was the Captain of her crew. Each and every one, even those who floated in the driftless void between the stars of the Verse, having fought and died for freedom. Also, I'm curious what Invictus, Shroom, and the others think about what you've developed about the Terran Reich aka the Earthreign for this continuity. But Steve, I have barely developed anything definite at all. It's all being filtered through the attitudes of people with hidden agendas and personal biases. And the Fracture itself has malleable memetics and history - but of course Imra knowing actual encrypted command thoughts makes her quite accurate. And is she really just a historian, with those memories of being actually there during the Earthreign just inherited memories? Or was she actually there and is some ageless being with some cryptic goals? I liked the epic stuff, the esper characterizations and the celebration of Zhen'var at the end, and Imra being incredible. But I kinda feel like most of the crew of the Firefly were superfluous, even River while getting fixed and such was still passively following someone else's lead, and so we have the Alliance forces just dictating everything and changing the whole 'verse in one visit while that 'verse's main POV characters get sidelined. At this point, "Alliance cruiser and paleo-Earthreign-vessel slag the enemy fleet" was evident, so I think even the tension of the fireships weren't that necessary anymore since that could've been used for more time with the Firefly crew. While I love the dabblings of the Earthreign stuff too, it seemed that it also overshadowed the in-universe stuff. It's not quite "Balls!" said Alliance captain Wong as he shot down Satan but, eh. I don't have a problem with a curbstomp per se, just how the Firefly folks weren't even shown as much despite events being in their setting. Ships in her home universe using modern hyperdrives didn’t do this; they also still relied on navigational beacons, though the bands of hyperspace they operated in meant they could fix on beacons that were in realspace. The de Trier needed neither. Huh. I'm not fully decided on how SOTS hyperdrive works specifically, since various factions have different sub-types and variations anyway. For civilian vessels sure beacons are a thing. But more advanced ships? Probably not. Unfortunately it is really hard to write a profound technological mismatch well. Blending the two plots was intended to mitigate this, and I grimaced a lot and felt like I was undercutting the Firefly characters, but I couldn't write myself out of it. In the end the result was 10,000 words longer than planned and to me not as good as Case Armageddon. We will revisit the Verse though with the Firefly crew holding a much larger place in the action. And River also got to the bottom of Imra very cunningly. So, your answer to your Abebech question is right there. Yes, it is. But even such a filter gives some idea of what's going on, albeit not a perfect one. It's still a fleshing out, and it hints at Imra's goals while giving us more information on what the Reich/Earthreign was like in some respect. Those varaiations and subtypes are likely all based on the original technology used before the Reignfall, with three thousand years of divergence based on local conditions, developments, etc. You did it as well as could be managed given what you had to set up and establish. There's only so much the Serenity crew could do in this situation, letting them hold the line against boarders on the de Trier worked for that. Plus the outcome means I have at least some opening for the Aurora crew to meet them in Season 4. P.S. I really wish multi-quoting was on this board. On my phone so copy-pasting each quote together can be annoying. I mean, I see similarities in the general visual description, the way they out-mass everything else, the casual inter-universal capability etc., and I'm guessing that the de Trier and the mysterious War Cruiser are both of Earthreign origin, or at least were produced under the same technological basis of the interuniversal Earthreign/Alekto/Darkness brouhaha, with any quantitative differences owing to one of the ships being 3000 years out of date. Though the decision to code the Earthreign as vaguely germanic, in a story where there already are multiversal nazis, is interesting congruent with the meta-worldbuilding environment of this here website, right Shroom? It isn't the cutting-edge Xenforo software, I admit, but you can multi-quote by going into the reply window, scrolling down to the topic review showing the lasts posts in the thread, and clicking the quote button on those posts. Heck, a bit more perspectives from the local forces in the commandeered gov't vessels, with Mal and co. involved in these, would've helped. Or Mal demanding he and some of the crew being part of the rescue op on Zoe. Or more on River and crew during the confused boarding of the Earthreign ship - I mean, that could've been a great moment of them reckoning with their circumstances, maybe eerie moments with River and her realizations perhaps, instead of them arriving at the bridge when it's all done so Imra can tell them everything. I mean, we've already seen the Huáscar’s crew being badass all the time, so lavish details on fireship gambits and bayonet charges might've been less vital (though yes it shows how the Heerman crew loved Imra). I guess it's something to mull about - like, how can one carry out crossovers even with massive firepower disparities while maintaining balance, without sidelining the in-universe stuff in lieu of meta-plot cool stuff. *wink* Neither design actually originated in the Earthreign. There's a bit of French influence in the language used, I think? Presumably the Earthreign/Terran Reich originated as some kind of Franco-German pact. I'm sure we'll explain one of these days. Huh. So I can. Thank you for revealing that.